Melissa McCarthy attends the Montecito Award honoring Melissa McCarthy during the 34th Santa Barbara International Film Festival at Arlington Theatre on February 3, 2019 in Santa Barbara, California. 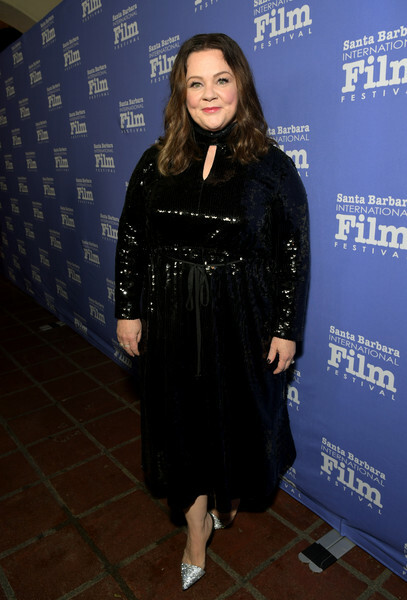 Melissa McCarthy shimmered in a sequined LBD with a keyhole neckline at the 2019 Santa Barbara International Film Festival. Melissa McCarthy continued the sparkle with a pair of silver pumps.